Giraffes live south of the Sahara Desert in Africa. They inhabit dry savannah and semi-desert land and can survive without water for long periods. 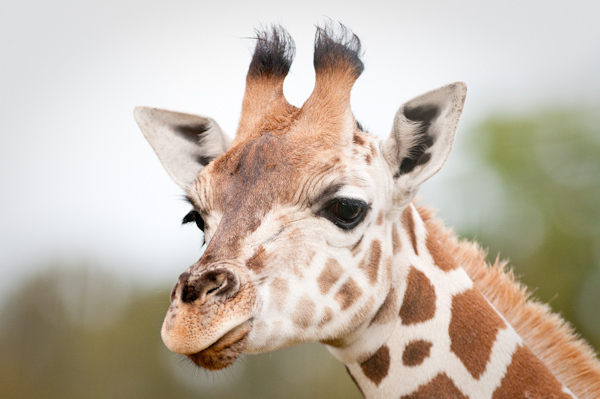 A series of valves in the arteries of the heart prevents the Giraffe from passing out when it drinks from waterholes. A Giraffe’s tongue can reach up to 45cm in length and has a distinct purple colour which helps protect it against the sun. The Giraffe has a very powerful kick and has been known to kill predators in this way. Giraffes have beautiful spotted coats. While no two individuals have exactly the same pattern, Giraffes from the same area appear similar.